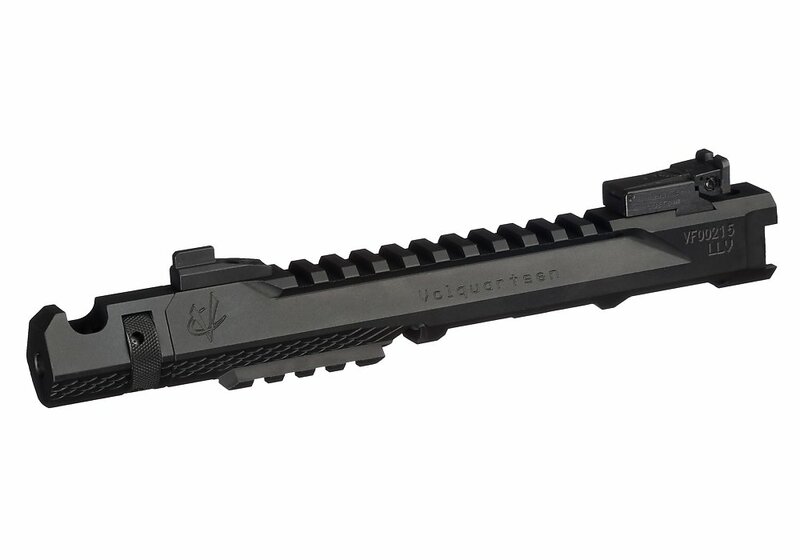 - The popular Volquartsen LLV barrel concept re-engineered for the Ruger MK IV pistol. This new upper is extremely lightweight and well-balanced, and the accuracy is said to be even better. How was that done? The lightweight aspects are credited to a Type III hard anodized machined aluminum receiver. But the accuracy comes from fitting it with a stainless steel match grade barrel and breech. The Volquartsen Mk IV LLV-4 Competition Upper is unlike other lightweight designs in that even though it is lightweight it still features a stainless steel breech to withstand the rigors of competitive shooting. Please Note:LLV barreled receivers are actually serial numbered uppers that require FFL transfer paperwork. When you order, download your dealer FFL or ask that dealer to FAX (320-834-3002) or email ([email protected]) a copy of their FFL to us (EABCO) along with your name and order number. We'll ship your order to your dealer where you can pick it up. We are not able to ship this item to California or Washington D.C.